Last July The Australian Prevention Partnership Centre, administered by the Sax Institute, secured funding totalling $15 million to see it through to 2023. This great result marks a new phase in the life of the Prevention Centre and has already provided funds for the launch of four new projects, with more to follow as the year progresses. The Sax Institute’s Associate Professor Jo-An Atkinson is the lead researcher for one of these new projects. This is the second phase of the Compelling Case Project, which is part of the Prevention Centre’s efforts to establish a compelling argument for investment in prevention and to determine how to best target strategies for maximum impact. The project will develop a customised, validated, robust decision support tool to inform national strategies for lifestyle-related chronic disease prevention. Two other newly funded projects extend the Centre’s previous work around implementing and scaling up chronic disease prevention programs. 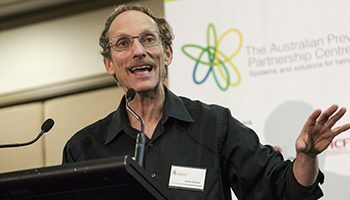 The first of these is led by Professor Adrian Bauman of the University of Sydney: working with policy and practitioner partners, Professor Bauman and his team will develop and test tools to help policy makers assess the feasibility of and barriers to scaling up prevention programs. Another project in the same space is Resources and funding models for successful implementation and scale-up of preventive programs. Led by Professor Penny Hawe of the University of Sydney, this project is about identifying, quantifying and valuing local resources that are used when a prevention program is introduced in a local community. The aim is to help policy partners predict what types of outcomes to expect according to local capacity, and to allow for new ways of funding prevention that accounts for differing local contexts. “Liveability” is the subject of a fourth Prevention Centre project led by Professor Billie Giles-Corti of RMIT. Benchmarking, monitoring, modelling and valuing the healthy liveable city will build on work that Professor Giles-Corti’s team has already done on liveability and aims to improve our understanding of the relationship between built environments, daily activities and travel choices. The team will use liveability indicators across Australia’s 21 largest cities along with other data to construct models for daily walking, cycling, public transport and private vehicle use. They will constitute a “virtual laboratory” that will allow policy makers to identify and test prevention strategies. Prevention Centre Director Professor Andrew Wilson says the focus of the next five years will be to expand the Centre’s national focus, concentrate on implementation and scaling up to drive action, and to extend work with high-risk and vulnerable populations. “As we start the next five years, we are thinking more broadly and creatively about what prevention of chronic disease means beyond traditional concerns about major risk factors and the major diseases,” Professor Wilson says. 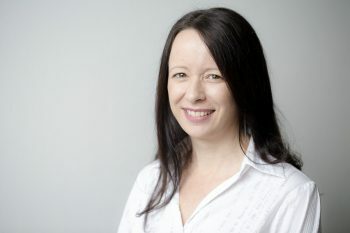 In addition to the five-year funding of $15 million provided the by NHMRC along with the federal government, various state governments, VicHealth and Cancer Council Australia, the Prevention Centre has also received $10 million from the Medical Research Future Fund, which it is using to fund 10 projects in its Boosting Prevention program.